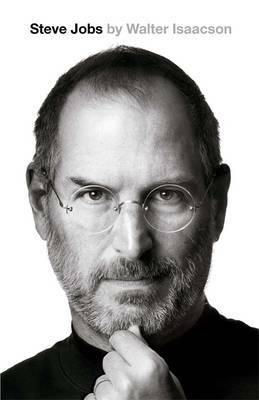 In Walter Isaacson´s biography Steve Jobs emerges as a nasty, selfish, and ruthless man. Fortunately, he applied his talents to making computers and did not engage in criminal activities. Although, Steve Jobs thoroughly studied Buddhism and meditated, there is little evidence of an inner peace of mind or compassion with other humans. He is the epitome of a genius who, because he thinks much faster and better than his employees, fell into the trap of arrogance and power play. Fanatic, extremist, narcissistic and obsessive, not a man to have in your enterprise, let alone in your football team. It has been the merit of Apple’s shareholders that they have managed to make a distinction between the man’s behaviour and his ideas about how computers might look like. They assigned a kind of reversed body-guard to prevent employees from being attacked too harshly. Jobs did not settle for less than more than best. He simply ignored practical objections. That drove his designers to extraordinary, hitherto considered impossible performance. Moreover, the ability to ignore generally accepted impossibilities was a main criterion to select employees. Jobs was convinced that working with B-team players would end up with having lots of C-level players. A-Team players loved to be challenged by other A-team players. Another habit of Jobs was to visualise his ideas on a whiteboard. He encouraged critical thinking, but required at the same time joint efforts to overcome negative points in a design. A key concept in the thinking about the design of computers has been Simplicity. Jobs believed that the design of hardware, software and form should be designed integrally. Not simply produced to certain specifications, but as a piece of art that deliver several values. In order to do that Jobs focused to one issue at the time, determining what would be the key quality of the function delivered, removing without hesitation any unnecessary feature or complexity. Jobs trusted his intuition on what a good design would be, and never let marketing surveys decide what to do. In all his decision he was led by the desire to deliver an excellent product that would change the world. Profits,costs or time were never of guidance when making decisions. Ignoring general accepted impossibilities, A-team playing, Visualising ideas, overcoming negative points, designing for Simplicity, delivering Values, Focus and using Intuition are all subjects we will cover in our forthcoming book. For a different view on Steve Jobs see the video below.